What if the stepmother wasn’t the only one who was wicked and Prince Charming wasn’t what he seemed? What if your favourite princess didn’t make it home by midnight? From the imagination of our authors, prepare to meet Cinderella as you’ve never read before. 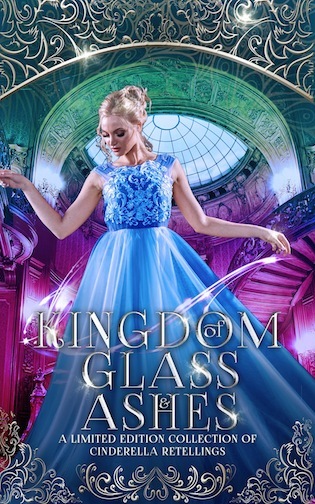 Kingdom of Glass and Ashes is a spellbinding collection of retellings, written by multiple USA Today and bestselling authors telling their own version of the beloved tale.